Simple habits can have a big impact on your water bill. Just by adopting these five practices, you’ll begin saving water at home. The easiest way to cut down on water waste is at your fingertips, literally. 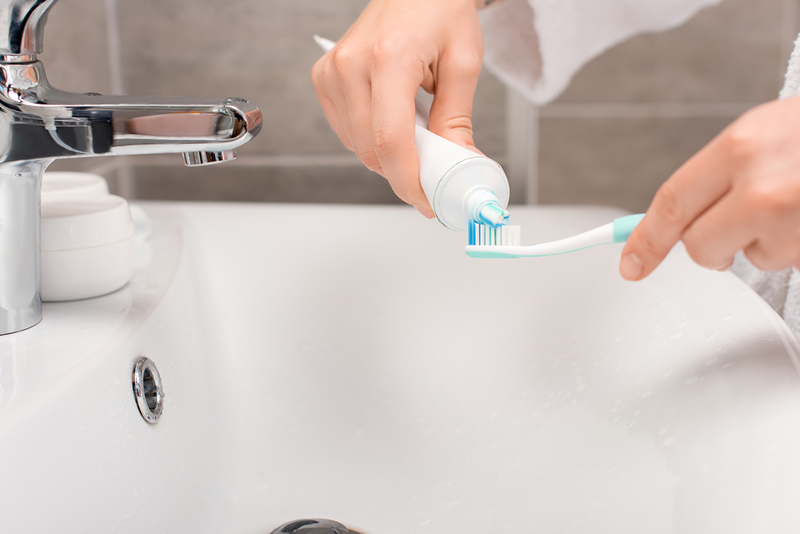 When you are brushing your teeth or washing your hands, turn off the water while you are brushing or lathering up with soap. The amount of water that goes down the drain is anywhere from 2 to 2.5 gallons per minute, so just by turning off your faucet, you can take daily steps toward saving water at home. Assuming the length of your showers is reasonable, you use far less water than if you were taking a bath. So if bathing is your custom, try swapping your bath for a shower often and you should see a difference when paying your utilities. If you already take showers, challenge yourself to cut a couple minutes off your shower time and shut off the water when you are shaving or washing your hair during your shower. If everyone in your family reduces their time in the shower, you’ll see a significant decrease in your water usage. When you are washing dishes, it’s tempting to let the water run while you are scrubbing. However, an easy way of saving water at home is to let the sink fill with soapy water and wash the dishes in that. You can take your conservation efforts a step further by filling a bowl or the other side of a double sink with clean water to rinse the soap off. Even better, if you have a dishwasher, use it in full loads instead of washing the dishes by hand. A dishwasher uses quite a bit less water than handwashing. Running your dishwasher and washing machine when they aren’t full is a waste of water and energy. Before starting a half-empty load, think twice. It is worth it to wait another day until you have a full load of clothes or dishes. After cooking pasta or boiling veggies, there is a lot of water to drain off. Instead of pouring it into the sink, save it for watering your houseplants after it cools down. You can also do this with the water used to rinse off fruits and vegetables. Saving water at home is simply a matter of adopting a few easy habits, and small changes can have a big effect. With just a little effort, you can conserve or put to good use the gallons of water that formerly went to waste. Prime Home Inspections serves Western Washington with home inspection services. Contact us to schedule your inspection.